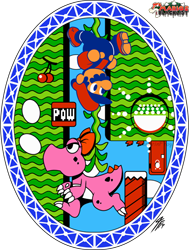 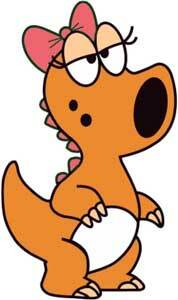 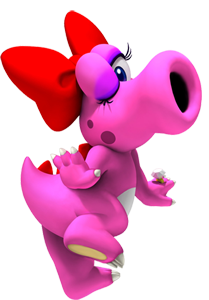 Birdo is one of the boss characters from Super Mario Bros. 2 (1988) ..and the original Japanese version known as “Yume Kōjō: Doki Doki Panic” (1987) before. 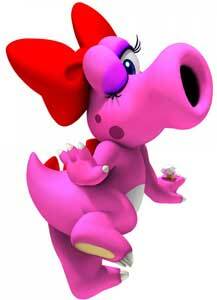 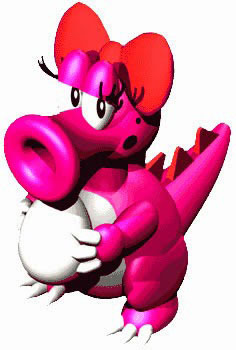 Nintendo of America and Europe calls Birdo a girl usually however. Birdo was drawn of the first round of our big Mario’s Blacklist Art Collaboration in summer 2014!